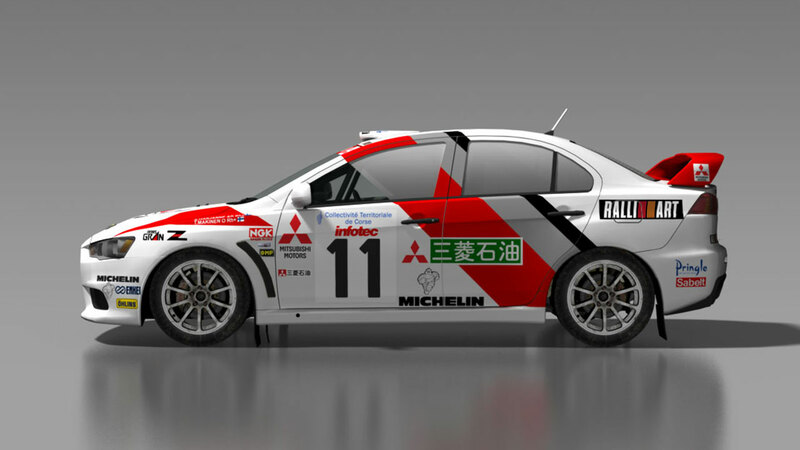 This is a fictional tribute livery modelled off the Mitsubishi Lancer Evolution III that competed in the 1995 Tour De Corse driven by Tommi Makinen and co-driven by Seppo Harjanne. This version has mirror tinted windows like the Evolution III used for various rally's. NOTE: If you're not using DiRT Mod Manager this Livery will replace your default livery 42 which is the red Mitsubishi Lancer Evo X car number 36 in game. Please backup this livery before installing.